With over 28 years of experience, Pro-Tec Pest Services has been providing Wilmington, Delaware and the rest of New Castle County with quality pest control at reasonable prices. Our service is always hassle-free. Same day emergency service available for all of your pest control needs. If you need pest control services for residential or commercial use in New Castle County, De, Wilmington De, Hockessin, Elsmere, Greenville, Newark, Bear, Glasgow, New Castle, Pike Creek, Middletown, Odessa, Townsend, Claymont, North Wilmington, Brandywine, Newport, Stanton, Yorklyn, Delaware City, Arden, Talleyville, Bellefonte, Centerville, Marshallton, North Star, Ashland, Red Lion, Montchanin, and Blackbird. For those fortunate enough to live in the Wilmington area, getting quality pest control can be easy, prompt, and affordable. Our company has been providing high quality pest control services in the New Castle County area for over 20 years. Because of that experience, we are your local experts, knowing which areas are most likely to have certain pest issues. Our company has been successful in the Delaware area for as long as we have because of our simple, service-oriented approach to the pest removal process. No matter how large or small your pest control needs, don’t hesitate to call our New Castle County area customer service number at Pro-Tec Pest Services302-738-1036 to schedule a technician to visit your New Castle County area home or business. 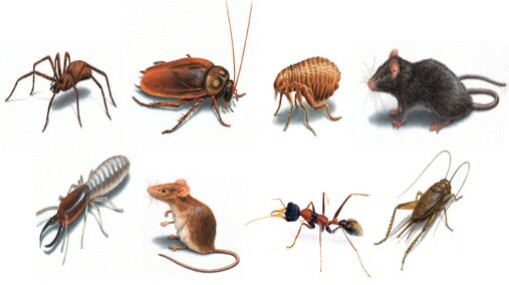 Pro-Tec Pest Services looks forward to helping you with all of your pest control needs. Call today!